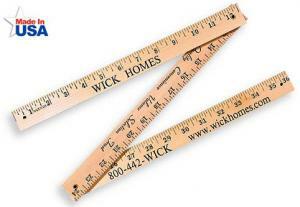 Promotional Items, Inc.™invites you to select promotional yardsticks, walking sticks. Wood yardsticks, folding sticks and walking sticks for promotional items. item in the 1920 decade. They are still printed using the old linotype method for text and custom metal dies for logos. 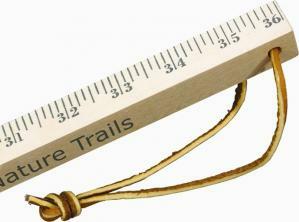 For a proven promo item that has stood the test of time, purchase yardsticks and walking sticks for your promotion. Promotional yardsticks are a favorite advertising medium for all types of businesses offering a continuous imprint area. We have natural wood yardsticks and colored yardsticks available with your company custom message imprinted. 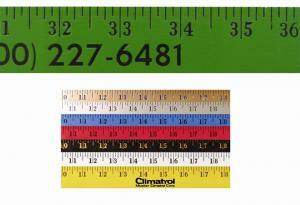 Also featured are the heavy duty yardsticks and extra large yardsticks featuring a larger imprint area. 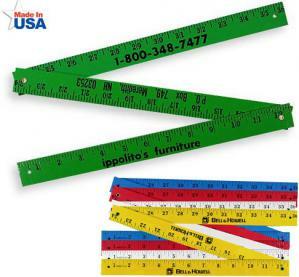 A timeless favorite is our promotional folding yardstick also available with a colored enamel finish. We even have available the Texas Size or Mule Clubber which is a four foot long wood stick. Promotional walking sticks are a wonderful special event or trade show giveaway item. At PII our sticks are made from 100% natural grain wood for assured quality. All of the wood yardsticks and walking sticks on this page are Made in the USA. Our promotional yardsticks or walking sticks include a one color imprint in the price. 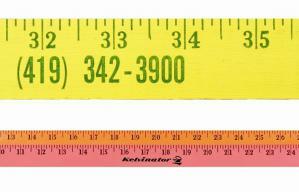 Choose the yardstick or walking stick that best suits your need for promotional items. Visit our Promotional Thermometers, Rain Gauges pages for related promotional items. The length of your promotion is only measured by the longevity of the promotional item. can extend the effectiveness of your marketing lasting 3-5 years or longer, measurable advertising.